Australia and Thailand have announced a new irradiation pathway for horticultural exports. Finalised last week, the agreement will provide Australian and Thai suppliers with a more direct avenue to exporting their products, along with a safe and chemical-free way to manage biosecurity. The irradiation process sees fruit enter a large chamber via a conveyer belt, where it is sterilised, killing bacteria an d pests. In most cases, the process alleviates the need for cold treatment, which is commonly conducted in transit via seafreight. Therefore, irradiation will provide a viable option to exporters from both countries hoping to send their fruit via airfreight. Australian persimmon growers and Thai mango exporters will immediately benefit from the new agreement, with these products the first to be ticked off for approval under the irradiation plan. Produced primarily in south-east Queensland, Australian persimmons have previously been exported to Thailand under cold treatment. 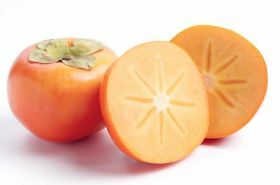 âThis agreement will help open doors for the Queensland persimmon farmers and deliver speed to market,â said Australian minister for agriculture David Littleproud.